China’s Belt and Road Initiative now comprises over 70 countries, making the task of analyzing available tax incentives along the routes somewhat complex. By definition, this means referring to the available bilateral and multilateral agreements that are either in place or in the pipeline. 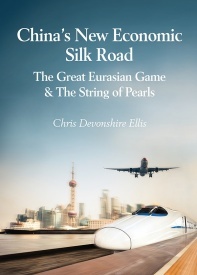 A China-only discourse on available tax incentives in China as concerns the Belt and Road is therefore not especially helpful, and certainly not for foreign investors operating elsewhere along the Belt and Road routes. That said, China has recently promulgated certain incentives to assist local exporters and state-owned companies. Foreign businesses operating in JVs with Chinese companies may on occasion be able to access these – it often depends on the equity split in the JV and the terminology of the specific tax law – many are exclusively for Chinese companies only. Beijing issued 59 tax guidelines for Chinese companies dealing with Belt and Road issues last year, a summary of this and the countries affected can be viewed here. Furthermore, assessing applicable tax incentives along the Belt and Road needs to take into account not just the geographical location and therefore the pertinent tax regime, but also product and industry sectors as some are encouraged in certain countries and others not. This needs to be coupled with any pertinent local incentives such as regional investment incentives and free trade zones, then on top of that applicable bilateral and multilateral agreements. It is a huge subject. To begin with however, we shall commence with China and then dig deeper into Russia, the Eurasian Economic Union, and South-East Asia. China – What Product, What Industry? It is also important to research the nature of the product and industry you are involved with when it comes to China, as the country imposes restrictions on foreign investors and the commercial areas they can be involved with. A good way to understand this is to refer to the so-called “negative list” which despite its somewhat off-putting name, actually specifies the industries in China foreign investors are allowed to participate in and on what basis. An overview of the 2018 list can be found here. China – What Legal Entity Must I Have? For foreign investors based in and registered with a legal business in China, they may however qualify as being regarded as “Chinese” when it comes to bilateral and multilateral agreements that China has signed off such as Double Tax Treaties. These often contain provisions to reduce certain areas of tax such as applicable VAT, import duties and withholding taxes. These can add signifcant value to your bottom line. These can be 100 percent owned by foreign investors, and crucially provide the right to hold an import and export licence. This means a 100 percent foreign owned business – can source inexpensive China-made products, purchase them, and export them to the relevant destination. If that is a Belt and Road country, research into applicable double tax treaties, bilateral investment treaties, and free trade agreements all come into play. I will deal with these later in the article. 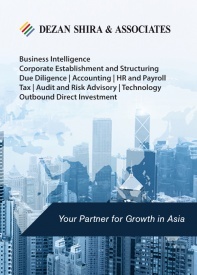 For more about setting up a FICE in China, please see this free publication. China – What Incentives Apply? This area includes some of China’s most populous inland regions and cities and all of China’s Western border Provinces, and includes Guizhou, Guangxi and Yunnan to the south (bordering or close to Vietnam, Laos and Cambodia), Sichuan, Gansu, Ningxia and Xinjiang, (all of which contain sizable Muslim populations), Inner Mongolia, (bordering Russia and Mongolia), Tibet, (bordering Nepal and India), and the municipality of Chongqing, China’s largest city. An introduction to the available incentives can be found here. China has released tax incentives for foreign investors in High Tech and Research & Development among other specialist “encouraged” areas. Contact us for specific details. There is also a fast-track tax incentive explanation service relating to Corporate Income Tax issues available in China, although it is also a good idea to check with tax consultants over the latest updates. Many countries along the Belt and Road, including China, India (which politically isn’t a BRI country but is in practical terms), the ASEAN bloc, and Russia have established “Free Trade Zones”, which enable investors to avoid import duties on parts that are either intended to be married together with locally sourced products, or have value added to them, and then re-exported. These include specific bonded areas and their own customs offices. A guide to China’s Free Trade Zones can be found here, to India’s Special Economic Zones here, and comments on the Russian zones in Crimea here and Vladivostok here. Other Russian zones of interest include a new FTZ bordering the European Union and another one close to Shanghai. Moving to ASEAN, we have also discussed SEZ’s in Indonesia, Thailand, Laos, Myanmar, and Malaysia’s new Digital Free Trade Zone here. A summary of ASEAN zones is here. These are rather more specific and cover areas to ensure both individuals and businesses operating between two countries are not taxed twice for the same liability (incurring a profits tax bill in both countries). They may also lower tax thresholds in certain areas, including VAT, import duties, and so on. It is important to note that Hong Kong and mainland China employ different systems in this regard, and also have their own agreement between them. It is additionally important to note that it is vital to discuss the application of applicable treaties with the pertinent tax bureau before any shipments or business has been transacted. 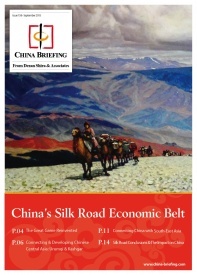 We discussed the use of bilateral and double tax treaties in this issue of China Briefing magazine, here in India Briefing Magazine, here in Vietnam Briefing Magazine, and a general examination of Asia here. 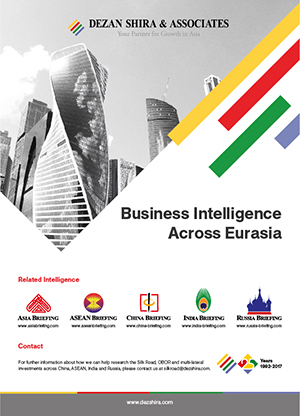 A breakdown of the applicable Double Tax Treaties entered into by Russia can be read here and by the Eurasian Economic Union countries here. These can be on a bilateral basis, but are also often organised on a wider-ranging, multilateral scope. Examples are the European Union, the ASEAN bloc, and the Eurasian Economic Union. ASEAN comprises Brunei, Cambodia, Indonesia, Laos, Malaysia, Myanmar, Philippines, Singapore, Thailand, and Vietnam. Both China and India have FTA with ASEAN, details of which can be found concerning both China and India FTA details here. A recent issue of our ASEAN Briefing magazine also deals with the opportunities in ASEAN that the FTA provides for foreign investors. Of the ASEAN nations, Indonesia, Laos, Malaysia, Philippines, Singapore, Thailand, and Vietnam all have individual DTA with China. Vietnam, incidentally, also has a FTA with the EAEU, one that has seen Russian investment into the country move from zero to US$10 billion in the last 12 months. The EAEU includes Armenia, Belarus, Kazakhstan, Kyrgyzstan, and Russia. It is an important bloc as its reach effectively stretches from the borders of China to the borders of the European Union, and it maintains effective and identical tax structures throughout the union. The EAEU has entered into a Free Trade Agreement with Vietnam, an ASEAN member, Iran, and is in discussions with several more. It has recently signed off a “non-preferential” FTA with China, meaning that no products are currently eligible – but that will soon change. A similar situation is expected to be agreed with India. The EAEU therefore is something of a work in progress when it comes to FTA but when these become more involved this will have a huge impact on the flow of goods from China, through Asia and to the EU. A summary of what this means can be found here. In addition to this there are numerous other agreements that come into play between China and other organisations, with an overview of China’s FTA status with other South Asian nations such as Bangladesh, Maldives, Nepal, Pakistan and Sri Lanka here and China’s position as regards negotiations with the proposed RCEP and FTAAP agreements, coupled with the Gulf Cooperation Council here. The Caspian Sea nations, which do not include China have also very recently made an agreement which impacts on regional trade. This is however of great importance to China and other nations such as India, as Chinese goods flowing west to Europe may need to bypass the Caspian, while Indian goods heading north through Iran to Russia via the North-South Transport Corridor will also need to take this into account – in both not least for the Russian market opportunities this agreement now provides. In this case the Caspian Sea Agreement may not have a direct impact on taxes on foreign investors from outside the region, but it certainly impacts logistically on those wanting to develop new markets there. Of similar interest are the Lapis-Lazuli Corridor, which links Central Asia to the Caucasus, the North-South Transportation Corridor linking India to Iran and Russia, and the Primorye1 Corridor, which opens up China’s landlocked Heilongjiang Province to the Asia Pacific. Foreign investors on all sides of these projects can enhance their ability to succeed by activating the applicable DTA and FTA that cover these. There are many other similar cases. Moving on, there are additional comments on the EAEU’s position concerning expansion across Asia, Africa and into Europe here and concerning the potential for China, ASEAN, and the EAEU creating a Greater Eurasian Partnership here and here. Moscow, under threat from sanctions, has been reaching out via the EAEU to markets in both Canada and Mexico as well as South America which may well become more aligned with Eurasia following the United States current position of beating up its trade partners. These are longer term issues and much water needs to flow under various bridges; however the implications are there: free trade potential on a pan-Eurasian basis and beyond is happening now and can be expected to continue. 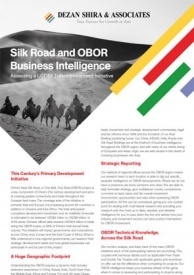 As can be seen, there is a great deal of information out there, and it is important for investors to understand that tax incentives along the Belt and Road are not purely a China issue. China taxes only apply to China as a sovereign state and to legally binding agreements it has reached either with other nations or trade blocs. The issue thus becomes a wholly regional one and linking together what agreements are in place, where, who they impact upon, in what industries and in what type of tax. It is a complicated issue, requiring professional advise. 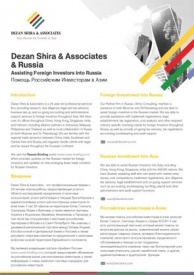 If you need further assistance is how these various agreements, including free trade zones, regional tax incentives, bilateral and multilateral agreements mean for your business, just email us at silkroad@dezshira.com and we’ll find the answer for you.